A gift card allows people to choose their gifts based on their own needs and taste. It is also an easy solution for the busy gift buyer who can’t afford to spend any extra time looking for the perfect gift. 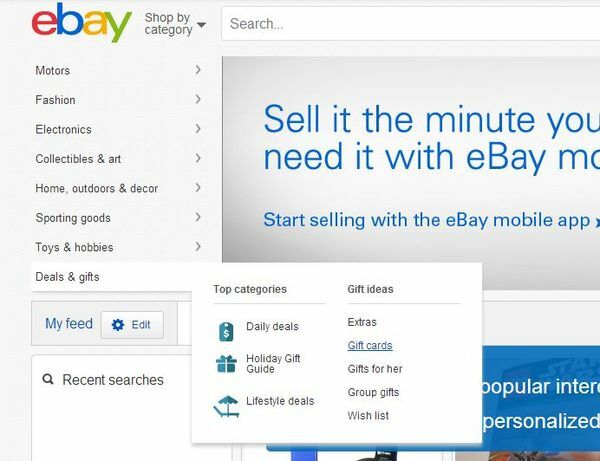 An eBay gift card can be redeemed at all the EBay shops that use PayPal for their payments. In this tutorial you will learn how to buy an EBay gift card and how to redeem it. Choose your desired delivery method. You can get your gift card in the mail, have it emailed to you, or choose to print it and use it immediately. Fill in the value of the gift card, your details and the details of the recipient and click Purchase Now. There is no activation required in order to use your gift card, you do however need to have a PayPal account. If you don’t have a PayPal account you can create one at the time of redemption. Using your eBay Gift Card. Find listings that use PayPal to process the transaction. Most eBay sellers prefer Paypal as a payment method, so it should be fairly easy to find the item you want. Proceed with your transaction as usual. At checkout enter your redemption code into the “Redeem a Gift Card, certificate or coupon” section. Click “Apply”. Any unused amount will remain on your Gift Card. If the amount of the order exceeds the value of your Gift Card then you will be required to pay for the balance using PayPal. You can use more than one Gift Card at a time.